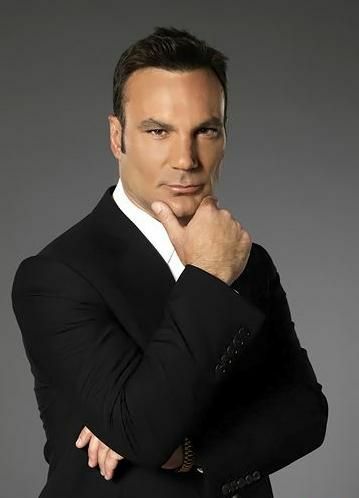 Celebrity hair stylist and hair product guru Jonathan Antin was a memorably tough boss on Bravo's Blow Out. It's no surprise, then, that in his return to reality television as a judge on season three of Bravo's Shear Genius, he doesn't mince words. Since his Blow Out days, he's sold his L.A. salons, has become the father of two, and now does house calls only (though he's planning on opening a "string" of private salons toward the end of this year). Here, Antin chats with PAPERMAG about the dangers of wearing roller skates to the salon, Justin Timberlake's "poodle" hair, and Sacha Baron Cohen's apology. You don't spare anyone's feelings with your critiques on Shear Genius. Do you think you can become a good hair stylist if you're thin-skinned or sensitive? I do. I'm thin-skinned and sensitive. That's why I'm hard on other people. What I give to people and what I do to other people? I think they want it. They appreciate the fact that I'm extremely honest. I speak my piece and I hold nothing back. I've trained 72 hair stylists in the United States who are now making over a quarter of a million dollars a year doing hair. And I think that number is a record. It's untouchable. But I was hard on every one of those stylists. It was like boot camp for them and they hated it, but today they are my best friends. They're family. I appreciate everything that they accepted from me and equally gave back to me. I think you can be sensitive and be a good stylist. I wear my heart on my sleeve. I'm a raw nerve. Are contestants on Shear Genius judged only on their hair-cutting skills? Or are other things considered? Absolutely. I watch their hands move, I want to see their level of skill from their wrists down. How do they move their combs and their shears? Do their hands shake? Do their hands shake when the camera is seven inches away from them? Do they communicate with people in their chair during the short cut and the elimination challenges? Are they listening to us when we lay out the guidelines for the challenge? There's so much more than just being a good hair stylist when it comes to being an expert. Do you think that Shear Genius contestants like Brig, who wear unusual outfits to the salon, and in her case, roller skates, are branding themselves as unique stylists? Or is dressing like that in a salon just distracting? It's totally distracting and ridiculous. It's trying to avoid the reality of the situation she's in which is allowing her creative and artistic skill set to shine. It dilutes her expertise. People are looking at that and laughing and gawking instead of looking at how great she is, or is not, and commenting on that. If she showed up looking like that at my salon, she'd go home right away. 'Take your bag, go home, change, don't come back.' Simple. We don't do that. That's circus act. That's child's play. Take those ridiculous skates off. Nobody cares. Can a good hair stylist have bad hair? How have you seen the industry change since you opened your salons? What hair style or trend would you like to see go away forever? I'm so over, and have been for about six years, the Jennifer Aniston shag. It's so tired. It's a specific type of layering usually done on collarbone-length hair. From the jawline down to the bottom of the hair, all the way around the head, there's this shaggy, scooped-out layering that actually makes the bottom of the haircut kind of thin. It's a very specific type of layering, it's very easy to do and very much of a beauty school technique. When [Aniston's stylist] Chris McMillan did it originally, it's not like he was the first person to do it. He just sort of did it again because it came from the '60s and '70s. He just re-invented it. He happened to do it on Jennifer Aniston and she happened to be on the biggest television show at the time, and that's why it was a big hit. But I'm so over it now. I don't even think she has it anymore, although sometimes I see those layers in her hair. I'm not even sure that Chris is still doing her hair. But when people come to me with that photo, I do a different version that doesn't thin out in a wispy shag at the bottom. I like a heartier, chunkier hair line at the bottom. Who do you think has the worst hair in Hollywood? He's going to kill me for saying this, but Justin Timberlake always has bad hair. He wouldn't if he'd let me cut it. I know him, he's a friend of mine, we both play golf at the same country club. I've never said to him 'Dude, let me cut your hair,' but I've always wanted to get in there and fix him. But, he's JT. He's as cool as you can get. So hair doesn't really matter. What's wrong with his hair? Is it because it's curly? It's curly and could use a very specific type of relaxer, and, if not, then he needs to grow it out and just have somebody texturize it and thin it out so he can put a little bit of great product or paste in to make his waves work for him rather than against him. They're kind of poodle-like. They could be soft, cool waves. You were interviewed by Sacha Baron Cohen as Bruno when he was doing Da Ali G Show. He asked you to say something controversial, and you told people in the Middle East you were coming for them. What was your reaction when that came out? I knew the guy interviewing me wasn't for real. I knew he was playing a character. I said to him a couple of times during the interview, and they cut it out, 'Who are you? I just heard you use a different accent. Stop acting like a fool and tell me who you really are.' And he wouldn't break character. A couple of weeks later, one of my stylists, who's from England, said to me 'Remember that guy who was in here? That's actually a guy named Ali G and he goes around acting like different people and films people and is on a show in London.' I went online and looked at it. We shot this two weeks after September 11th and I had two very close friends of mine who were investment bankers and money managers who worked in the towers. They both died. They both left behind their wives and their children and that seriously affected me, like it did the rest of the country and the world. What he said to me at the end of the interview 'Say whatever you want to say to the world?' And that very aggressive remark I made? That's where I was at that moment. I was a little bummed about it, but who cares? I said what I said. A lot of people have threatened him with lawsuits. I wasn't going to sue him. You know, he was a little cheesy. He came up to me at a Lakers' game about three months after [Da Ali G Show] premiered on HBO in the United States. And I was sitting down and he walked up behind me and put his arms over my shoulders and I looked up and sort of didn't recognize him, and in a very strong British accent he said 'Hey, babe. Listen, I'm really sorry about that." The first episode of Blow Out had just aired and then he aired his premiere and I was on it with Buzz Aldrin. Bravo and NBC actually contacted HBO and said 'We need to take this off' and HBO, you know how they are, they were like 'Guess what? Have fun watching it.' But, you know, it was a little bit of a cheap shot. That's why when you watch my interview it's not like anyone else's. I'm not being a total fool or saying ridiculous things. I could tell there was something fishy about it. What did you say to him in response at the Lakers' game? I said 'No worries, dude, but I'm going to tell you right now. If you ever do anything like that again I'll come after you.' And he was like, 'I got it, never again.' And that was it. (Laughs) We actually have the same agent. 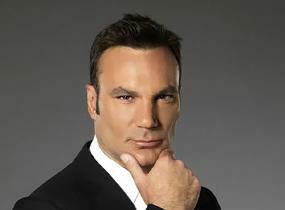 Shear Genius airs Wednesdays at 10 p.m. on Bravo.